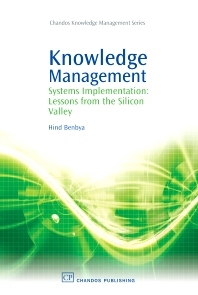 This book brings together the results of several years of analysis of knowledge management systems (KMS) implementations and the experience of leading organisations in the Silicon Valley, to provide a practical guide on key strategic, technical and economic aspects of knowledge management systems implementations. It provides a comprehensive and methodological approach to support managers in their implementations of KMS. It is intended to equip current and future managers with some of the knowledge and practical skills to help them navigate their organisations towards knowledge management. Managers must be actively engaged in the emergent process of KMS implementation in a way that does not simply offer exhortations or ensure that the infrastructure is working. This book also goes beyond the implementation process and suggests how to deal with KMS along the maturity process and how to assess and measure the results achieved from KMS. These issues are illustrated in a series of case studies from leading organisations in the Silicon Valley, including Hewlett Packard, IBM, Cisco, Protiviti and Wilson Sonsini Goodrich and Rosati. Part 1 KMS essentials: Why knowledge management systems? KMS foundations and taxonomy. Part 2 KMS audit: KMS diagnosis and strategy selection; Selecting a knowledge management solution: Lessons from Intel. Part 3 KMS implementation: Structuring knowledge in KMS: Lessons from Cisco; Defining KMS incentives and motivation schemes: Lessons from HP. Part 4 KMS performance assessment: Why KMS performance assessment? Lessons from WSGR; KM measurement in evolutionary contexts: Lessons learned from IBM Community Measures. Part 5 KMS maturity and effectiveness management: KMS maturity management; KMS effectiveness survey results. Hind Benbya is Associate Professor of Information Systems in GSCM-Montpellier Business School and Visiting Scholar at the UCLA Anderson Business School.